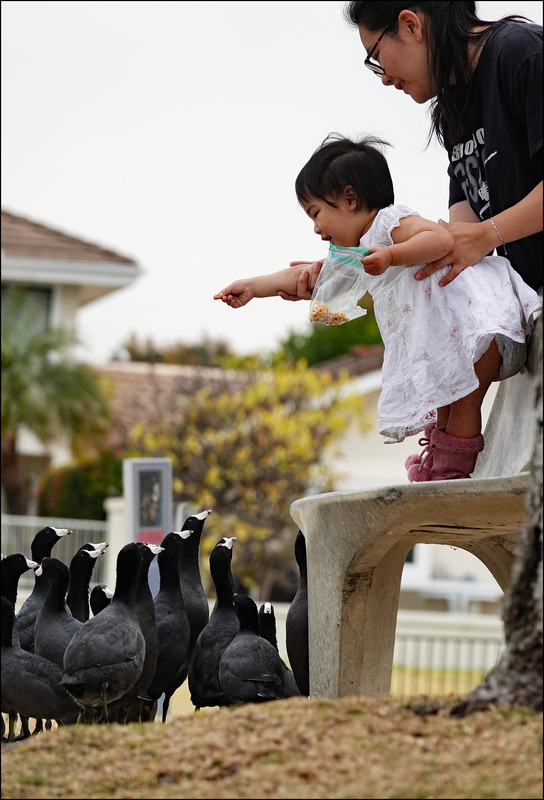 To finish up the week, here’s a picture of a little girl having a ball feeding the coots. I know you’re not supposed to feed animals in the wild these days, but kids love it so much that it’s easy to see why we all still do it. And anyway, our local lake is manmade and the coots haven’t truly been wild for a very long time. They might as well be in a zoo, so there’s probably not much harm in this. This is a composite photo. I had one picture where the girl looked excited and cute, and another where the coots were all staring upward waiting for a treat. Neither one was very good by itself, so I stuck them together to make one great picture.